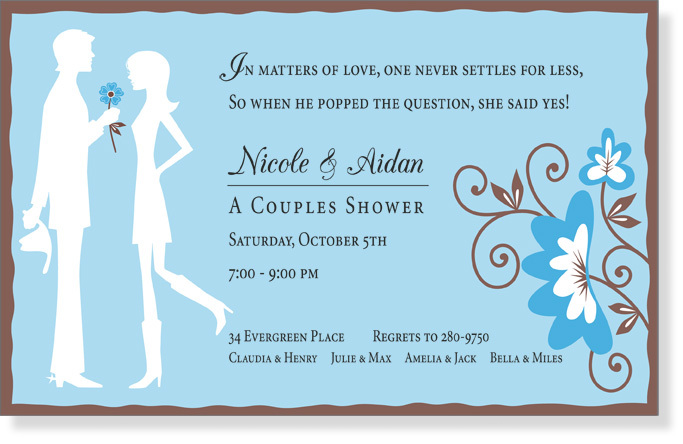 Sweet new invitation is perfect for an engagement party or couples shower. 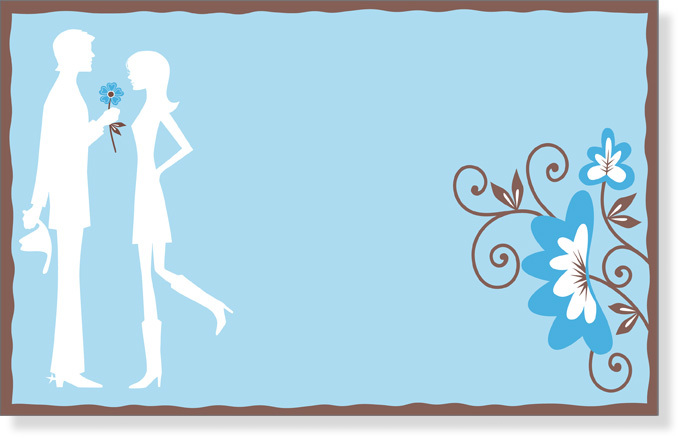 Silhouette couple with slightly western flair and floral vignette in blue and brown. Coordinating notes available below. 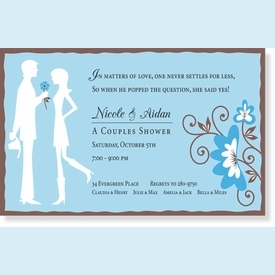 CLOSEOUT...only a few sets left!